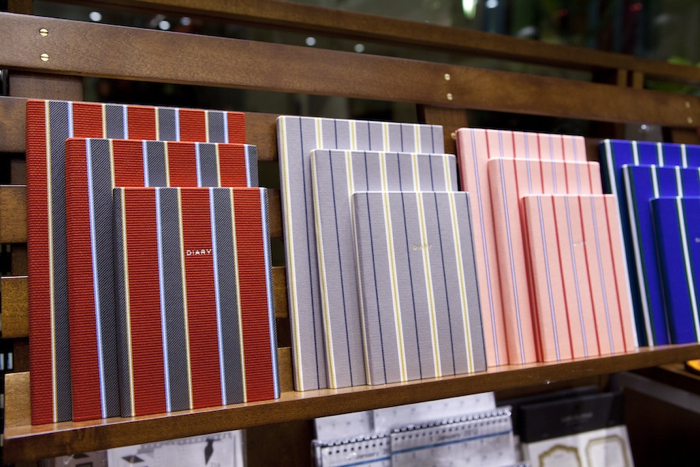 Are you fond of fine stationery products? 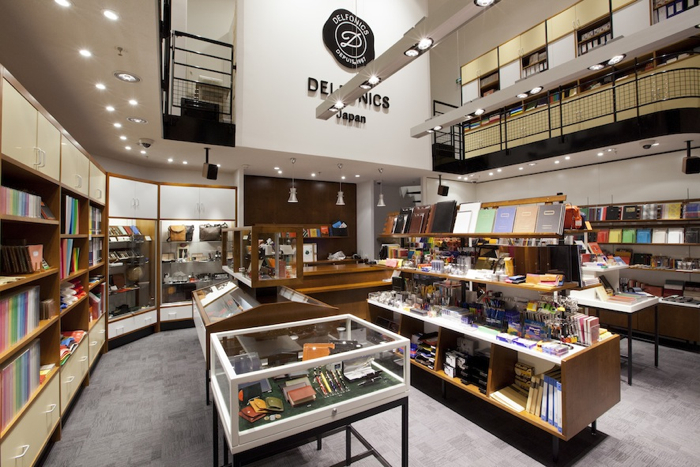 The famous Japanese brand Delfonics opened its first shop outside of Japan. Guess where? In Paris, of course! Deep down in the belly of the Carrousel du Louvre the first venue of Delfonics outside of Japan opened. This is a very smart move. Visitors from all over the world that pour daily into the Louvre and the small shopping mall of the Carrousel, will discover a brand that is not very well known in Europe or the US, but very much so in Japan. The founder of Delfonics, Tatsuro Sato, is kind of mad about France and especially about Paris. But as he has opened around five shops every year in Japan, he was too busy to implant the brand in Europe. Now it’s done. In the tiny shop of the Carrousel, just a stone’s throw away from the main entrance and the upside down glass-pyramid, you’ll discover lovely products that will amaze all aficionados of beautiful papers, pens, pencil, calendars, you name it. 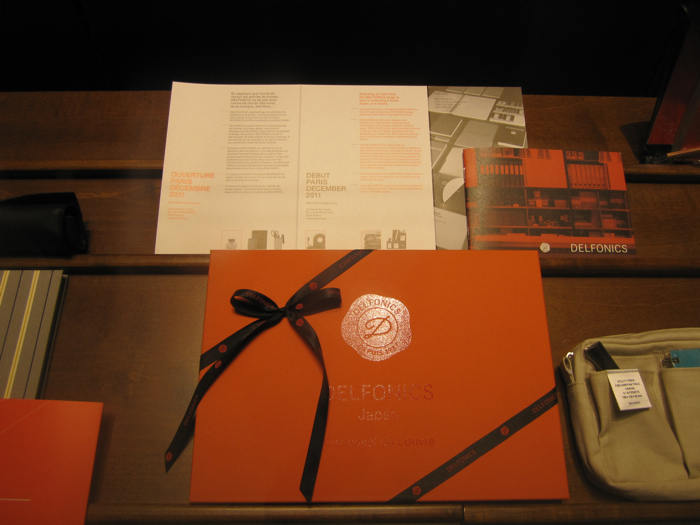 You might wonder why a Japanese brand is called Delfonics. The answer is here: Sato thought of the Philadelphia soul singing group of the same name (think about Quentin Terantino’s Jacky Brown). The man definitely has taste. When Sato founded Delfonics in 1987, he wanted to produce products reminding him of those he found in a little stationers when he was a kid. Most of his products kept this little vin--- e touch. If you love to write in a nostalgic way (on paper, I mean), you will love Delfonics and immediately understand their motto: “inspiration comes with working”.